A dense, mounded shrub with lustrous dark green foliage. Leaves turn brilliant bronze in the fall. 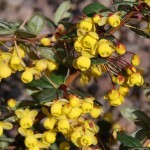 The mid-spring flowers are bright yellow. 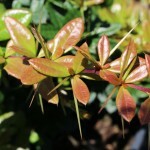 It has long, sharp thorns, making it a good barrier plant or low hedge. 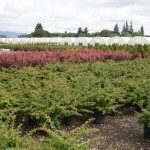 It prefers sun to partial shade, and will grow in a range of soil types.